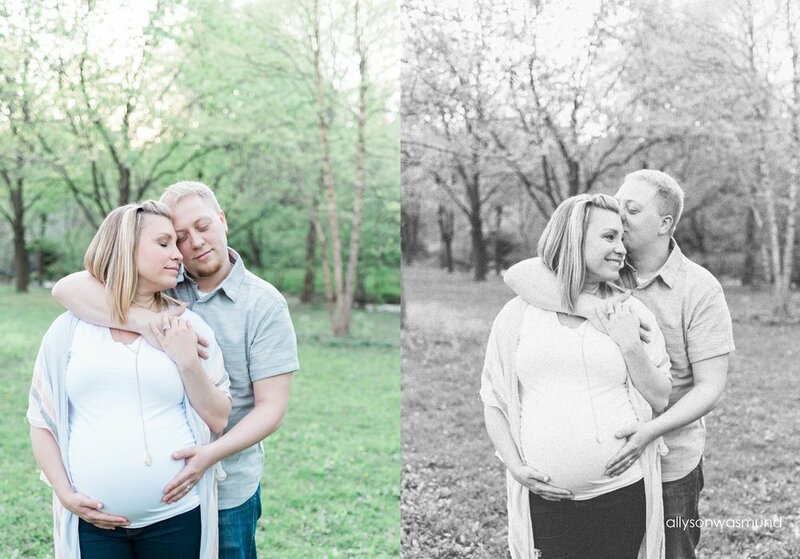 This soon-to-be family of four was SO much fun to be around - and they were the sweetest too. 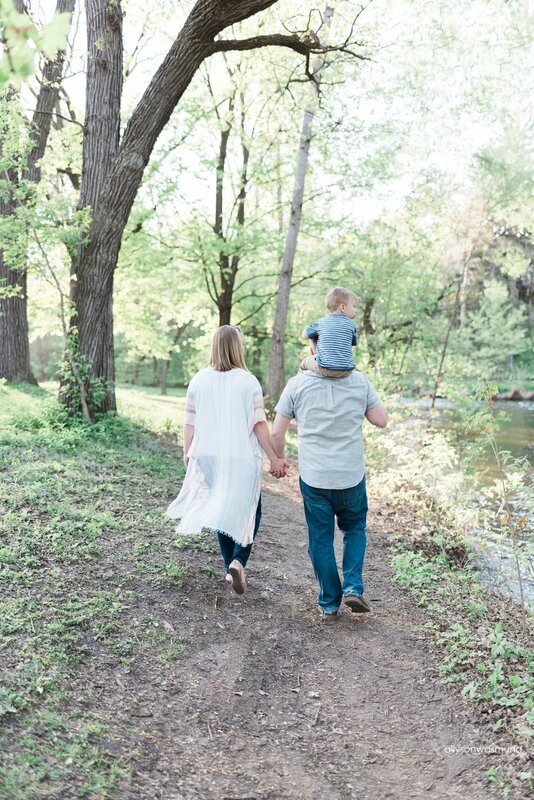 We met up at their Minneapolis home and walked across the street to this beautiful green space...a place their family goes frequently, so it had special meaning. I just love these little pockets of nature in the city! This space had lots of trees and even a small river. That river came in handy getting little guy's attention during the session - there were a lot of kayaks that floated by. He was so excited every time he saw one! It was adorable. We ventured around the place, picked flowers for momma, threw rocks into the river - it was a blast. 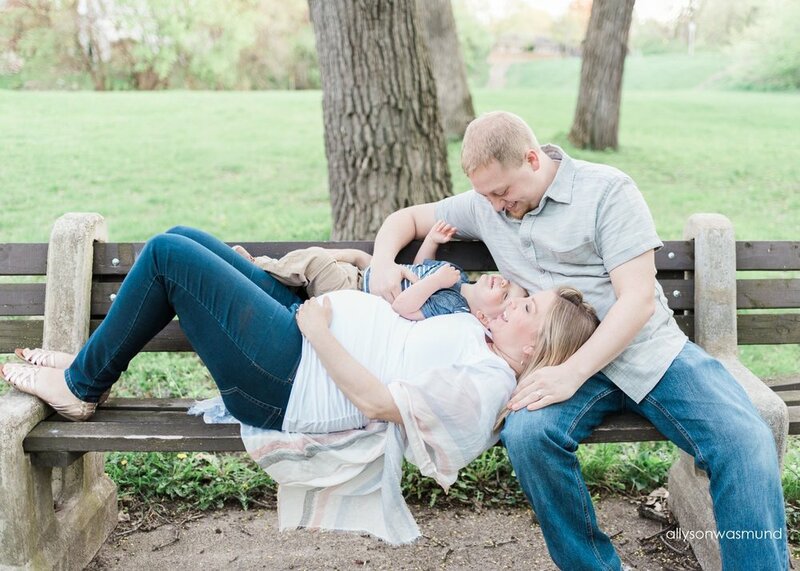 I love all the moments we captured! 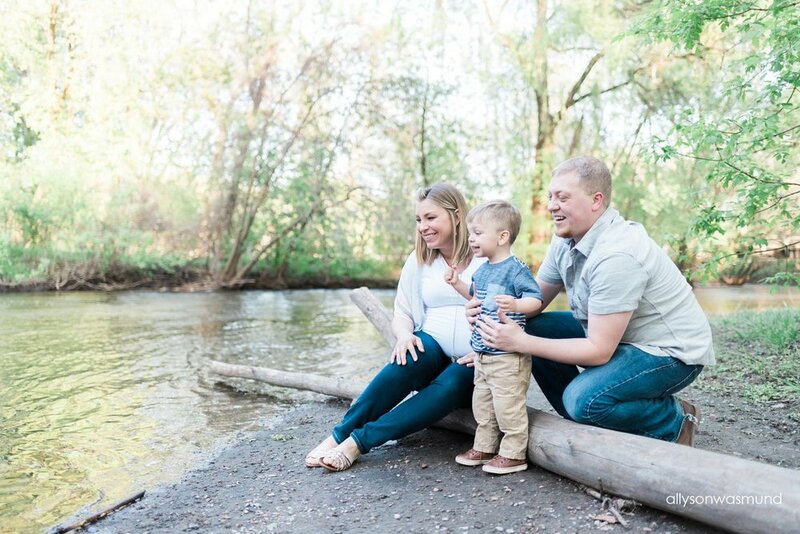 It will be a great memory for this family as they get things ready to move into their new home in June...just as baby girl is set to arrive. So many wonderful things coming for this family! I'm so happy + excited for them. 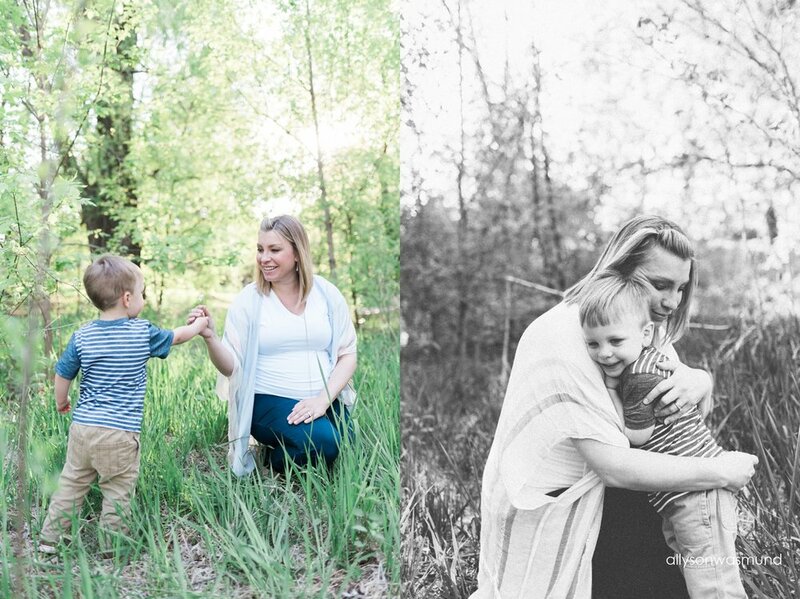 A special thanks to this beautiful momma-to-be's sister for coming along + helping with this busy 2 year old so we could take photos of mom + dad together. I don't think we could have done the session without you!